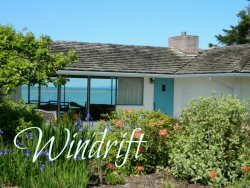 New vacation rental property in Port Angeles! If you are looking for a great vacation home while visiting the Olympic National Park, this 4 bedroom gem is the perfect home base. The home itself is just under a mile and a brisk 15 minute walk from downtown Port Angeles's vibrant waterfront district where wonderful coffee houses, locally brewed beers, fantastic seafood restaurants and eclectic boutiques can be enjoyed. The ferry to Victoria, B.C. is also located at the waterfront and offers passage to both cars and walk on passengers, making day trips enjoyable and easy. For hiking adventures, the first entrance to Olympic National Park is less than 10 minutes away and Lake Crescent/Marymere Falls is a quick 20 minute drive to the west. Sleeping 8-9 guests, the Oak Street Haven is great for families or groups of adults traveling together. Comfortable and tastefully decorated, every bedroom has beautiful bedding, furnishings and TV for your late night entertainment. Original hardwood floors and tile throughout home, the home maintains lots of charm. There is a main floor living room conversational area, dining nook and a fully equipped kitchen for preparing meals. Enjoy coffee in the mornings on the lovely outdoor patio with water feature and flower garden. Downstairs is a media room for guests to enjoy a movie, put together a puzzle or play some cards. Wireless internet is provided as well as a laundry room with full size washer and dryer. For families, there is a wonderful neighborhood park across the street with play structures to entertain little ones. Rates are based on 4 guests; There is an Addtional nightly guest fee per person up to 9 guests max.